Shimla (Himachal Pradesh): A ten-day food festival is being celebrated in Himachal Pradesh's Shimla and is drawing attention of both locals and the tourists. The festival commenced on May 31 and is scheduled to wrap up on June 8. 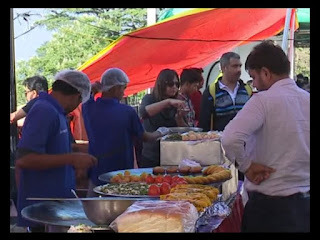 Different varieties of Indian cuisines, including traditional cuisine of Himachal Pradesh, are being served in the festival captivating flock of tourists and locals alike. 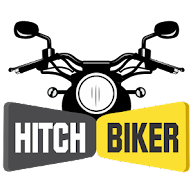 The festival is jointly organised by the Himachal Pradesh Tourism Development Corporation (HPTDC) and the district administration. Chefs have been invited from different places like Punjab, Haryana and New Delhi. Two food courts have been displayed in the festival. The traditional food court of Himachal Pradesh has been exhibited by the HPTDC. This specific court of Himachali cuisine will be displayed till June 5 but the organisers are planning to extend it given to the good response garnered by this food court. The Mughlai cuisine food court is also drawing attention of myriad number of people. Kishor Sharma, Organising Manager, HPTDC told, "Food festival is organized in Shimla during summer season as a part of the summer festival and the idea is to propagate the traditional delicacies of Himachal Pradesh. The stress is laid on the exhibition of the local cuisine, its recipes and taste. Of course, this festival is all about variety of cuisine but the emphasis is a tad more on the local menu." Shafiq, chef, Mughlai food explained that food items like Chicken Tikka, Chicken Biryani, Papdi Chaat, Chowmein are being preferred by the people. Tikka, Chicken Biriyani, Papdi Chaat, Chow mein, Mutton Korma and etc. Visitors have been appreciating the taste of our food items and have also been asking to pack and prepare a take-away for them." The visitors are apparently having quite a time at the food festival. Vandana, a visitor from Chandigarh said, "It has been an amazing experience here. Food has been phenomenally delicious, especially Pav-Bhaji and Chana Kulcha. The food items here can cater to the taste palate of both adults and kids. I would suggest that everyone in their lifetime must visit it once and taste every single dish existent and displayed here." The food festival also witnessed elements of dance and music.